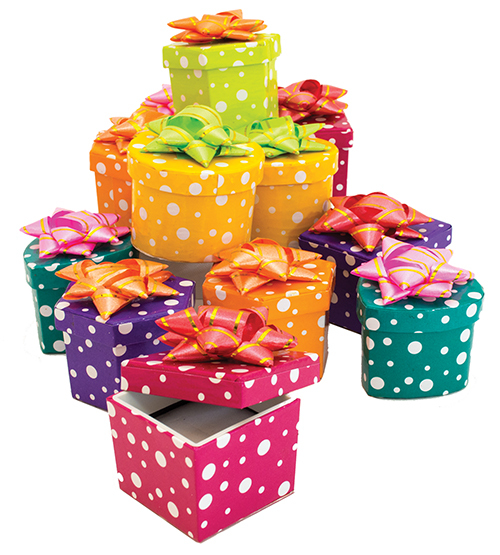 One dozen assorted brightly colored polka dotted petite hat-box style ring boxes. 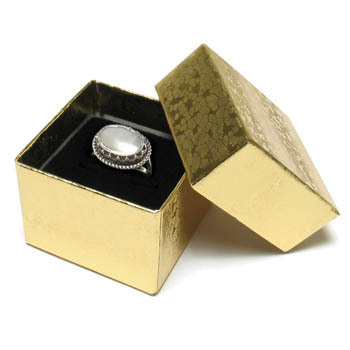 Delight your customers at every moment of jewelry buying! 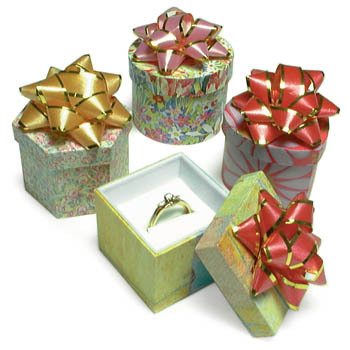 These cheerful, brightly colored ring boxes add a charming and festive touch. 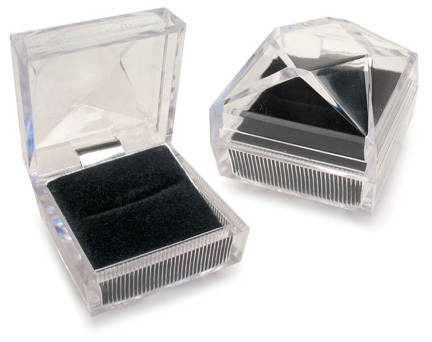 Perfect for gift-giving, these petite hat box style ring boxes hold one ring. 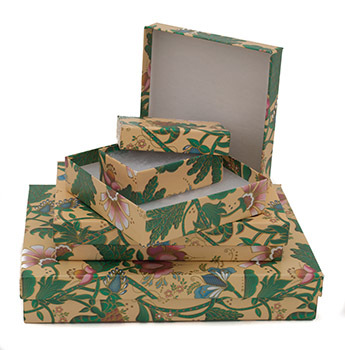 Twelve assorted boxes in various colors and shapes. Approx. 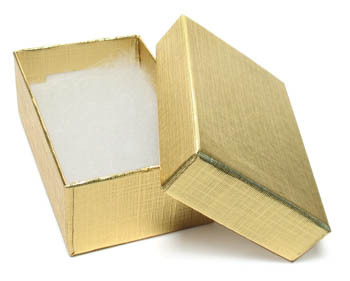 1-1/2" boxes. 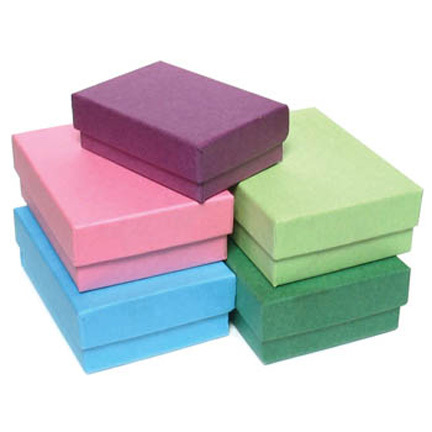 Assorted boxes - Cherry Red, Orange, Yellow, Lime Green, Blue Green, Purple boxes. 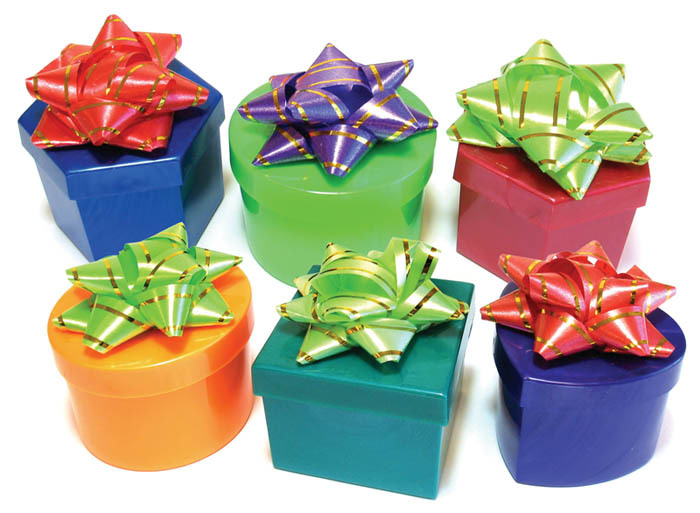 Pink, Red, Orange, Light Green bows. 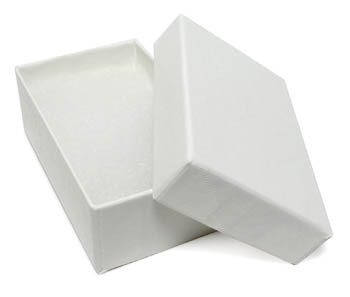 Square, Round, Hexagon, Heart shaped boxes. 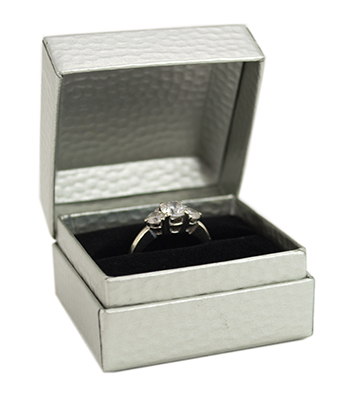 Glossy paper covered cardboard boxes, nylon bows, white flocked foam inserts with ring slot.